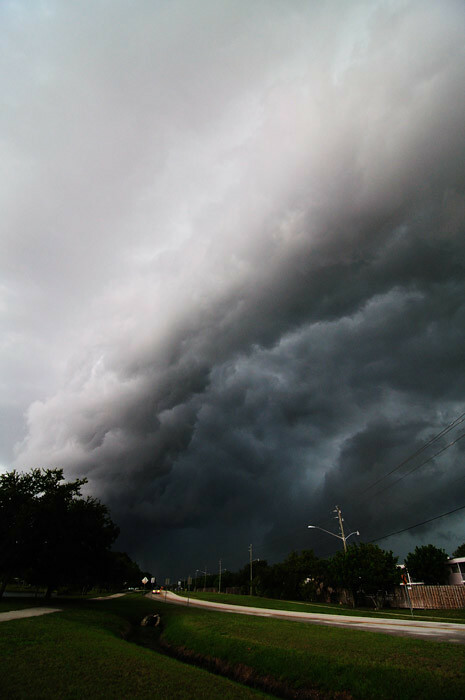 On Thursday, Brevard County experienced its first real rip-roaring thunderstorm of the summer. I was stepping out of the shower when I heard about a severe thunderstorm warning for the region. 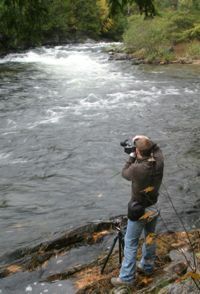 I quickly dressed and left for work early so I could stop and shoot if I saw anything worthwhile. 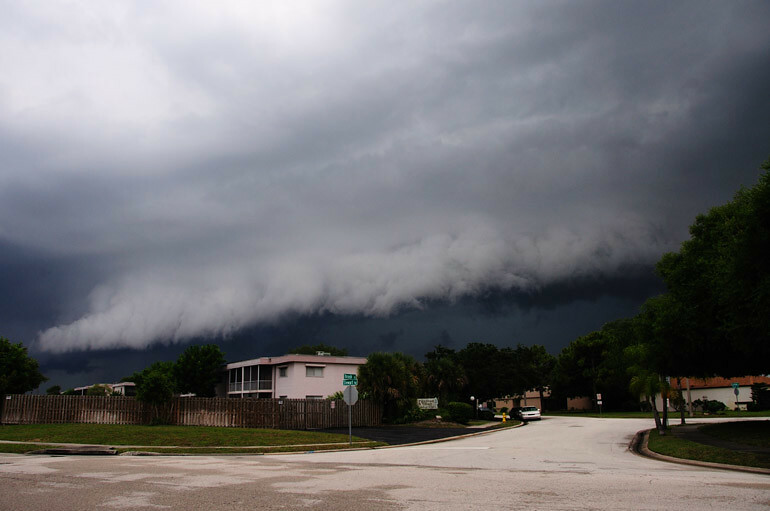 Just 2 miles from my apartment, on Parkway Drive in Melbourne, I saw a shelf cloud coming out of the southwest. It was an impressive formation, but a very fast-moving one. The cloud was far into the distance when I first spotted it, but within five minutes, it was above me. 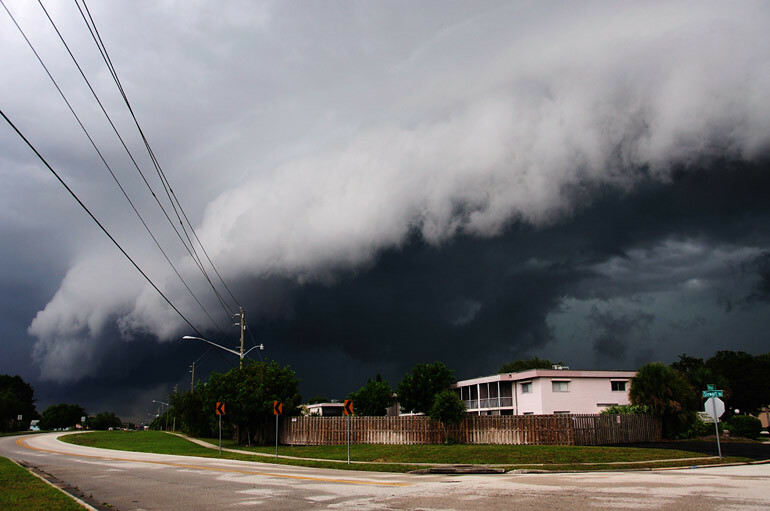 Last year's storm season got off to a similar start, with a well-defined shelf cloud. I missed its approach, however, and only shot its wind-torn, aquamarine underside, like you see above. For last year's version, go here. On the leading edge of shelf clouds, these "scuds" often form. 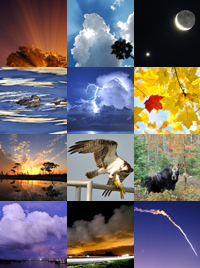 They're low-hanging, wispy clouds often association with a storm front. This one was deceptive because it had a slender, funnel-like shape. 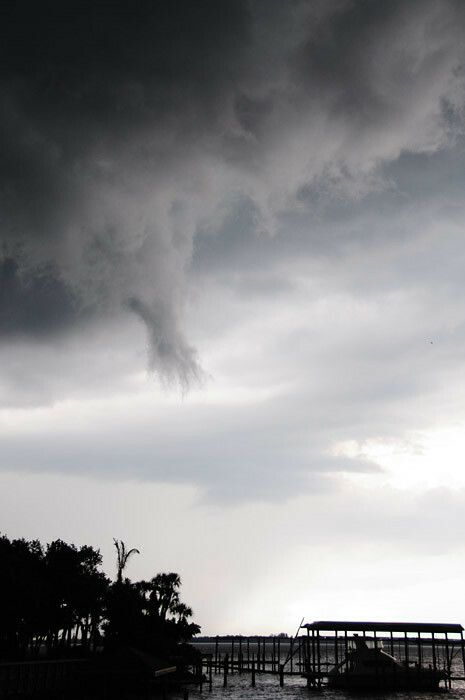 Its lateral motion was rapid, but I couldn't see real rotation, so I knew it was just a scud. Here's a bigger example from last year.